I love discovering new makeup artists on Instagram. 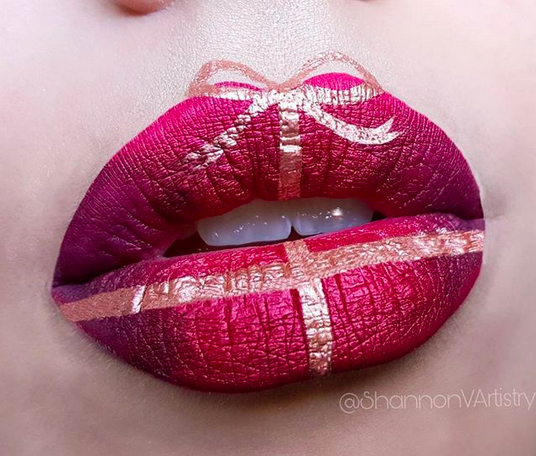 I follow a bunch of accounts who post looks from super talented makeup artists all over the world -- and, one day, I very luckily discovered Shannon V. THIS. GIRL. KNOWS. HER. STUFF. 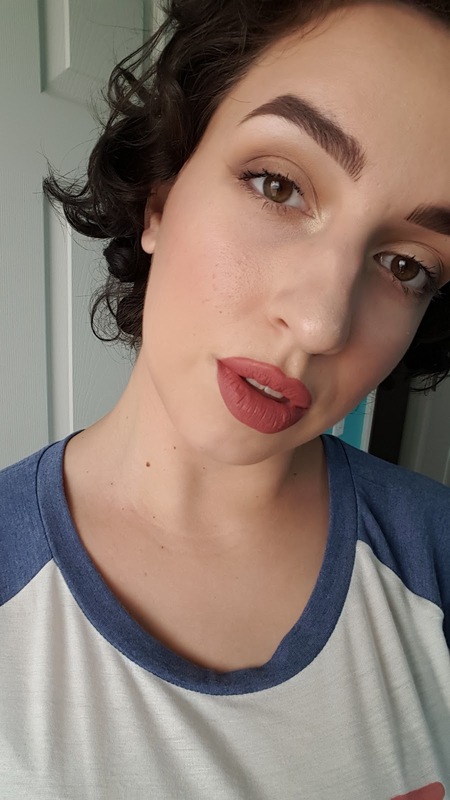 Every look she creates is so beautiful, so unique, so arrestingly gorgeous -- I can't help but stop the infinite scrolling just to stare in wonder at what she's created. Scroll through her feed and you won't be able to help but gasp. I'm thrilled to bring you my interview with Shannon today. Read on to find out how she got her start in beauty, the lip mask she can't live without and so much more. I'm from a relatively small city in Western Massachusetts, but I currently reside in Surprise, Arizona. Yes, surprise! I went to a vocational school for business, but am definitely more of a creative soul. I'm a stay-at-home mom to my 3-year-old daughter and I'm a feminist -- which I think is important to be proud of nowadays. A look by Shannon. 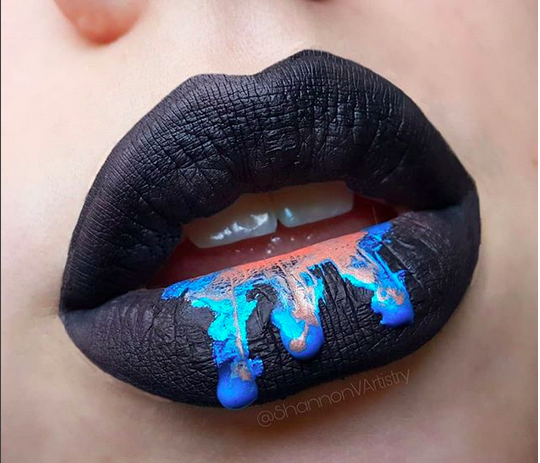 I love the bold black lip and the intricacy of the dripping turquoise and bronze. 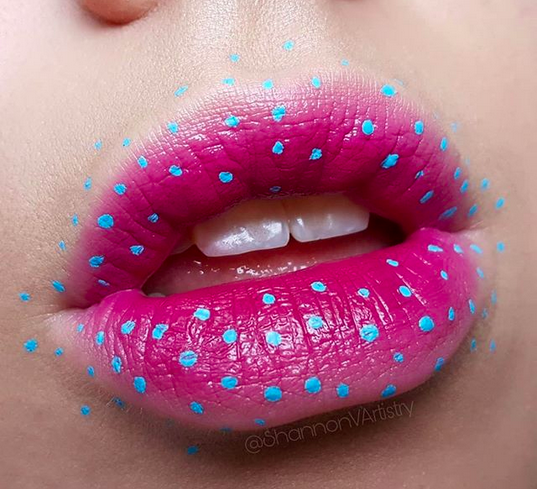 The way the turquoise polka dots are splayed out over the bright pink lip in this look just makes me smile! My first memory of makeup is when my parents got divorced. My dad used to take my little sister and I to the Dollar Tree for odds and ends on his weekends -- we didn't like it, it was a chore. So when I was about 6, he offered to buy me one thing I wanted from the store, and I discovered the makeup aisle with all of the lipglosses, face powders and eyeliner. I was in heaven! I also got sent to the principal in 4th grade for putting on red lipstick in chorus! Suva Beauty Hydra Liners. They're water activated eyeliners that are so multipurpose and come in something like two dozen colors and a bunch of finishes. I currently own like ... 14 of them. I'm obsessed! Plus, as a black liner, one little pot will last you FOR. EVER. Nabla Cosmetics Velvetline Lip Liners. My favorite lip liners ever!!! They're so good, so creamy but not too soft, set matte (to be worn all over the lips) and outline perfectly for a liquid or traditional lipstick over top! "Closer" is my favorite color! A good sunscreen! Find one that works for you and wear it EVERY day! I love the Target Up & Up SPF 30. 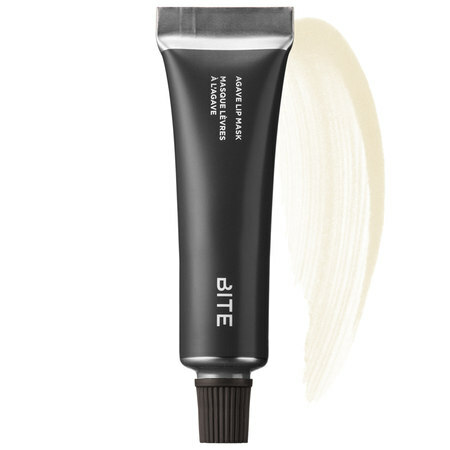 Bite Beauty Agave Lip Mask. I'm a chapstick addict. I have horribly dry lips and I live in the unbearably dry Arizona desert. Carmex and Blistex can only get you so far, being petroleum-based. 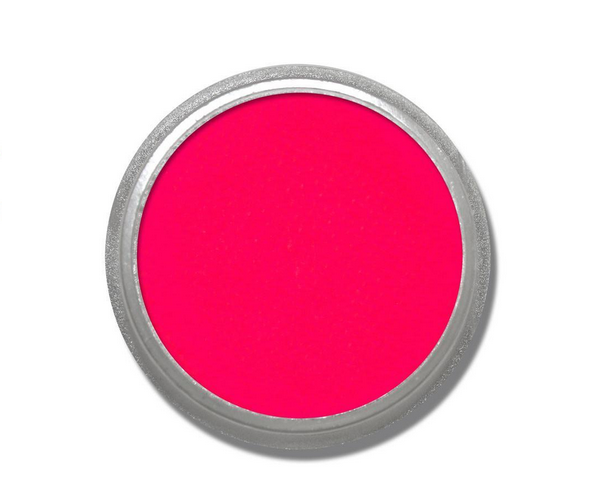 This lip mask is thick and moisturizes my cracking lips like nothing else! 100 percent worth the investment. 2) To keep your brows from looking flaky (with little foundation specks in them), use two separate spoolies. One is for brushing through before product is in them, just to straighten out the hairs. The second is for after they're all done and blending it out! It took me forever to figure out that this is why it looked like my brows had dandruff. 3) Exfoliate your lips more than you think you have to! It has changed my lips 100,000 percent for the better by exfoliating every other day opposed to maybe once a month. 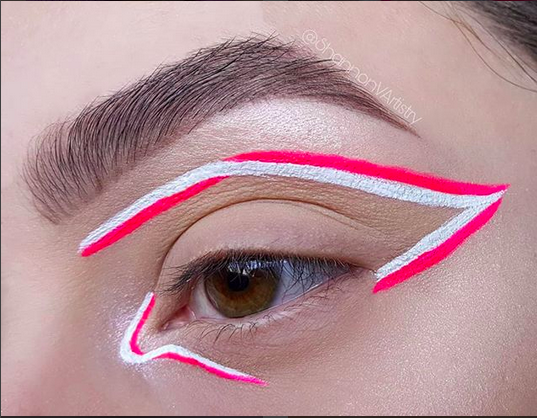 The angled lines, the red and white, the bold way this comes off the eye ... this is a look I'm dying to try. Come on, how could you NOT love this look? Her lips are wrapped up in a bow! I spend quality time with my husband, daughter and our two hamsters. I LOVE to draw in colored pencil in my spare time, my grandfather on my mom's side is an artist! The library is also one of my favorite places, just now as a 23-year-old woman I'm getting around to reading Harry Potter! I'm determined to hike the White Tank Mountains before moving out of Arizona, too. You can follow me on Instagram and Twitter. So interesting and I love that I found two liner lines that I hadn't heard of before. It's going to cost me money to read this post! Wow - she's so good! I love her beauty tips too. I need to exfoliate my lips more often. I love her personality, and her lip looks are just amazing. I think her brow spoolie tip may also change my brow life. I get brow dandruff all the time and I never understood why! What an incredibly talented makeup artist. I love her tips, and I need to go find that eye liner and lip liner she mentioned! It's wonderful that she stated how important it is to be a feminist– especially today! I need to check out the sunscreen the next time I head to Target. I totally agree with her on exfoliating your lips. Her lip art is amazing! She is SO talented! Shannon makes beautiful make up art - thank you for introducing her to me! Wow she is so talented and her designs are original! What a fun post! Love seeing the lip art! Her looks are so pretty! Yikes, yes I also have to exfoliate my lips more. Her work are stunning!